This book is dedicated to metaheuristics as applied to vehicle routing problems. Several implementations are given as illustrative examples, along with applications to several typical vehicle routing problems. As a first step, a general presentation intends to make the reader more familiar with the related field of logistics and combinatorial optimization. This preamble is completed with a description of significant heuristic methods classically used to provide feasible solutions quickly, and local improvement moves widely used to search for enhanced solutions. 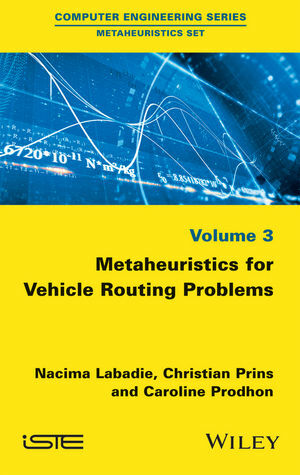 The overview of these fundamentals allows appreciating the core of the work devoted to an analysis of metaheuristic methods for vehicle routing problems. Those methods are exposed according to their feature of working either on a sequence of single solutions, or on a set of solutions, or even by hybridizing metaheuristic approaches with others kind of methods. Nacima Labadie, Associate professor University of Technology of Troyes, France. Caroline Prodhon, University of Technology of Troyes, France. Christian Prins, University of Technology of Troyes, France.